Sinclair's purchase of Tribune Media may be in trouble. Federal Communications Commission Chair Ajit Pai announced on Monday he has "serious concerns" about the $3.9 billion transaction and called for a hearing on the matter. "Based on a thorough review of the record, I have serious concerns about the Sinclair/Tribune transaction," Pai said in a statement. "The evidence we've received suggests that certain station divestitures that have been proposed to the FCC would allow Sinclair to control those stations in practice, even if not in name, in violation of the law." The FCC chair is taking issue with Sinclair's plans to divest certain stations in order to win regulatory approval. Sinclair has announced deals to sell certain stations in major markets, but with the agreement, Sinclair will continue to operate the stations. Some buyers have a clear connection to Sinclair: In Houston and Dallas, the buyer is Cunningham Broadcasting Co., a company named after and controlled by the estate of the mother of Sinclair's executive chairman, David Smith. Sinclair Broadcast Group, the largest owner of local television stations in the country, is aiming to become even bigger with a $3.9 billion acquisition of Tribune Media. The deal would mean Sinclair's stations would cover a majority of the country. The deal requires approval from the FCC because it involves broadcasting licenses and local stations. Sinclair spokesperson Ronn Torossian said in a long statement that the company was "shocked and disappointed" by the development, and referenced reports that suggested Sinclair "may have engaged in misrepresentation or lack of candor." "We deny such allegations in the strongest possible manner," he added. Torossian said Sinclair has filed paperwork that outlines its buyers and the terms under which stations would be sold to them, as required by the FCC. Those filings include "any ongoing relationship we would have with any such stations after the sales," he said. Torossian said the company is "prepared to resolve any perceived issues," and added that the merger would create "numerous public interest benefits" during a challenging time for broadcasters. "We look forward to working with regulators to make the merger a reality," Torossian said. Politics has played a part in disrupting the process. The FCC recently reinstated an old rule, called the UHF discount, which allows media companies to own more stations, a loophole of sorts thanks to technicalities. That provision allowed Sinclair to move forward with its Tribune merger. Democratic lawmakers and some of the company's Republican rivals have alleged that the FCC has given Sinclair preferential treatment. Chris Ruddy, CEO of the conservative television network Newsmax and an opponent of the merger, applauded Pai's decision in a statement. "Clearly this decision is based on the facts and law -- specifically that Sinclair has not complied with requirements setforth by the FCC to promote diversity, localism and competition," Ruddy said. "After a lengthy and fair process, Chairman Pai acted in a non-partisan manner in making this decision -- a marked departure from the Commission's partisan actions during the Obama administration." Sinclair is known as a conservative-leaning owner of local stations, which are normally bastions of objectivity more focused on local news than national politics. But in recent years, the company has become known for forcing its local stations to air "must-run" segments, including one by former Trump adviser Boris Epshteyn, who opines on the state of the country. In April, Sinclair forced its anchors to read a promotional campaign that echoed President Donald Trump's anti-media rhetoric. A hearing would prolong the time it will take for Tribune and Sinclair to merge, which could spell doom for the deal. 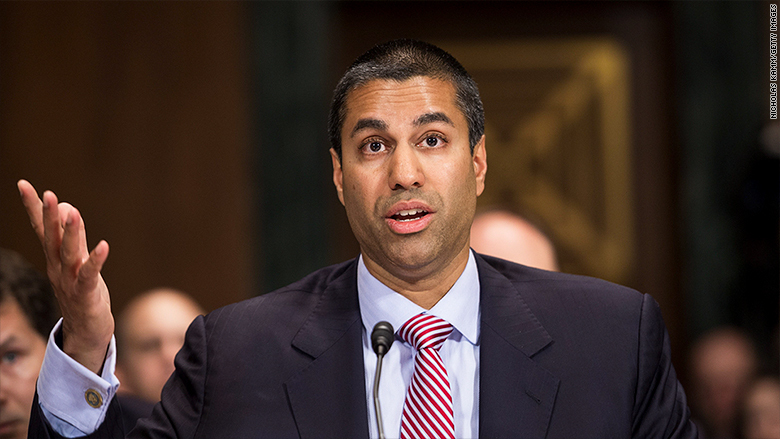 In a separate statement, Tribune said they were also "disappointed" to learn about Pai's move, but "will review the FCC's hearing designation order when released and expects to work with the FCC to explore ways to address the concerns identified." Tribune CEO Peter Kern said in a memo to the staff that the "latest development creates more uncertainty about our merger, but try to stay focused on the business and the audiences, advertisers and communities we serve, just as you have done throughout the year."